Home › Australian › My musings about the 10th Anniversary of the Bali Bombings, written whilst in Bali. My musings about the 10th Anniversary of the Bali Bombings, written whilst in Bali. 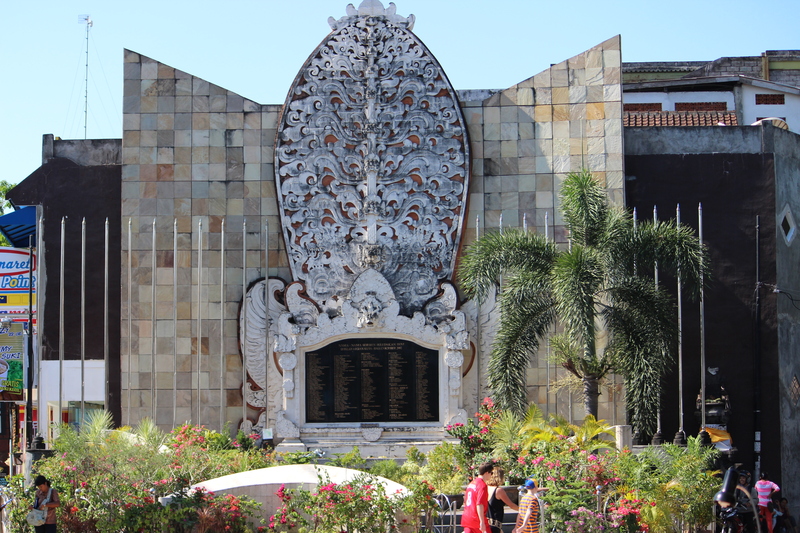 Friday the 12th of October 2012 (tomorrow as I write this), is the 10th Anniversary of the Bali Bombings. The bombings occurred in the tourist district of Kuta. The attack was claimed as the deadliest act of terrorism in the history of Indonesia according to the current Police General, killing 202 people, (including 88 Australians, and 38 Indonesian citizens). A further 240 people were injured. Wikipedia states the facts as:- Various members of Jemaah Islamiyah, a violent Islamist group, were convicted in relation to the bombings, including three individuals who were sentenced to death. The attack involved the detonation of three bombs: a backpack-mounted device carried by a suicide bomber; a large car bomb, both of which were detonated in or near popular nightclubs in Kuta; and a third much smaller device detonated outside the United States consulate in Denpasar, causing only minor damage. An audio-cassette purportedly carrying a recorded voice message from Osama Bin Laden stated that the Bali bombings were in direct retaliation for support of the United States’ war on terror and Australia’s role in the liberation of East Timor. On 9 March 2010, Dulmatin, nicknamed “the Genius” – believed to be responsible for setting off one of the Bali bombs with a mobile phone – was killed in a shoot-out with Indonesian police in Jakarta. I am writing this while in Bali. I took my family to the Bali Bombing Memorial site and we spent some time thinking through the devastation and pain caused by this terrorist act. Here are a few of my musings on the Bali Bombings. 1) I think of the 88 Australians who were killed and I think that they were happily having a holiday just like my family and I have been over the last two weeks. For me, actually being here, has hit home the enormity of the attacks and the fact that it killed so many, everyday aussies. 2) Terrorism is not the answer to anything and terrorists are cowards who kill innocent people in an attempt to move forward their particular ideology. 3) The Anniversary date, I would imagine, will be a very painful day for the 88 families who lost loved ones. As a Christian, I will be praying for them for comfort and strength. 4) The nation of Australia has not had a domestic terrorism incident ever. I pray that that continues to be the case, although I am increasingly concerned about the anger against western democracies that I see amongst some cultural groups within our nation. 5) The perpetrators of the bombings were shot by firing squad. I wonder if we, as we consent to their deaths, are consenting to the killing of people in the name of freedom, which is an ideology. Isn’t that what the terrorists originally did, albeit for a different ideology. 6) The Balinese people are a beautiful people and they suffered much economically as a result of the bombings. I think that needs to be acknowledged. I remember hearing several years after the attacks, that things still had not returned to normal. In fact, most of the cab drivers we have spoken to, have said over the last two weeks how quiet things are at the moment. I wonder if the anniversary has kept people away from Bali. My family and I have had a fantastic holiday and I appreciate the Balinese people and their incredible hospitality. I do feel sad though as I remember this terrible event. Tim, I guess that is my point. I believe in the sanctity of life and I am not sure killing in the name of freeedom is any different that terrrorists killing in the name of their ideology.